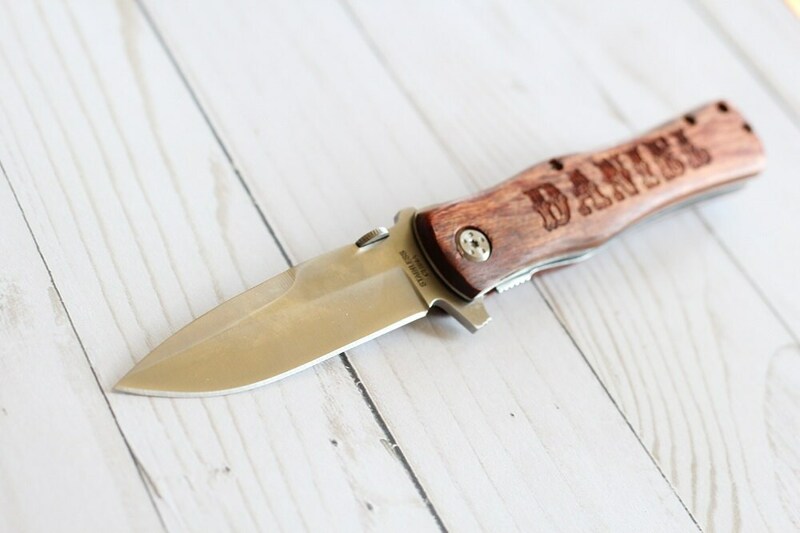 Full Size (sharp) Rosewood pocket knife. 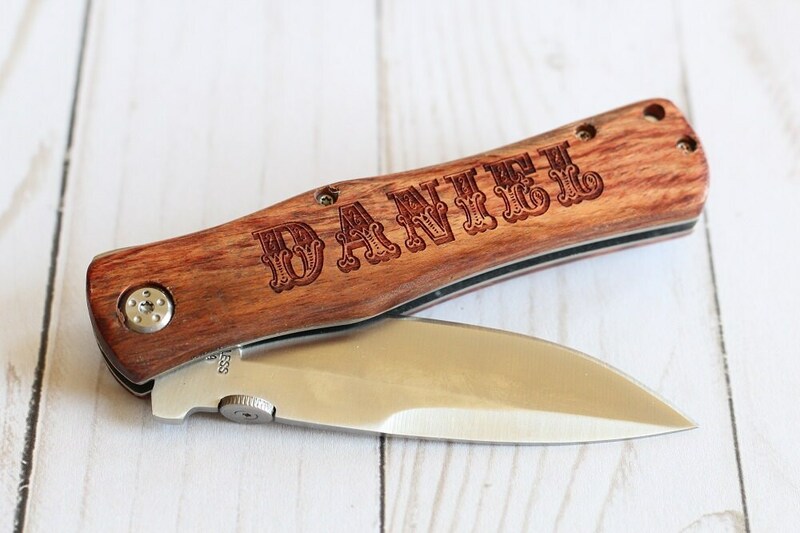 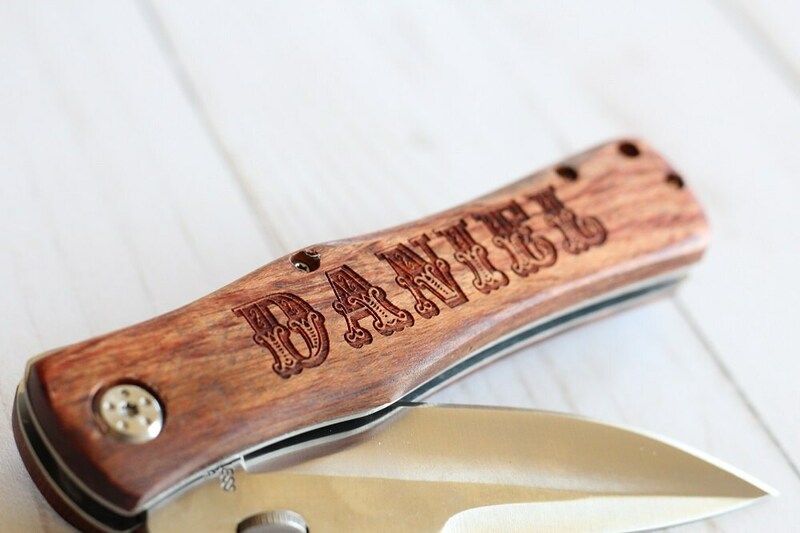 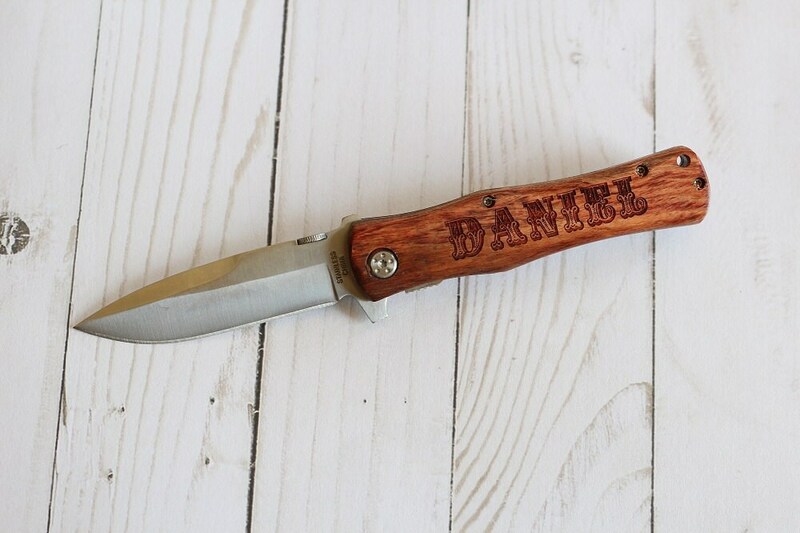 Please leave the name to be laser engraved onto the handle in the notes to seller upon checkout. 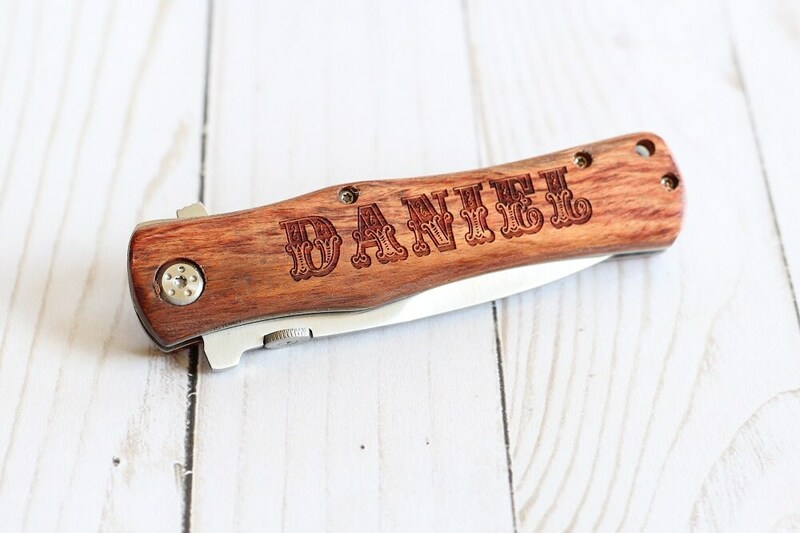 Engraving is on ONE side of the handle.